Baby2see is a website that supposedly helps women with fertility. As you can see below, they have no idea about the basic principles of fertility and getting pregnant. 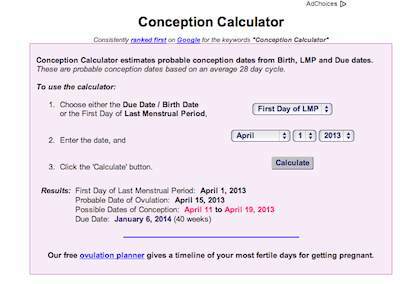 They incorrectly calculate ovulation and fertile days by implying that fertility extends beyond ovulation, which it never does.